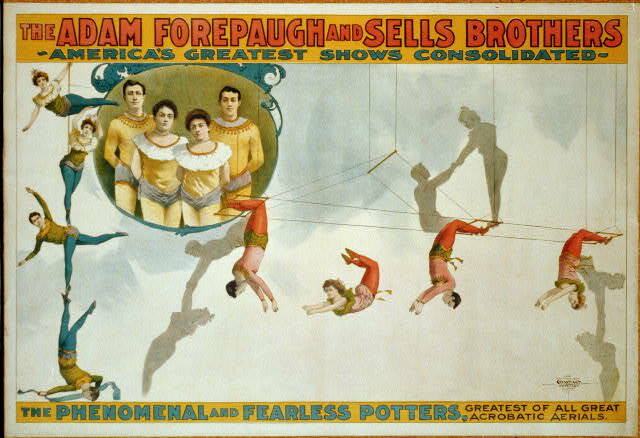 A poster from 1900 featuring aerial acrobats. Doctors from Eddyville and Ottumwa rushed to the scene of a train wreck near Eddyville in August 1885 when news of injuries reached the two towns. The circus train consisted of several cars loaded with wagons containing tents and seats that could accommodate 8,000 audience members, as well as animals and performers. The Forepaugh Circus was one of the most popular shows in the summer of 1885 as it toured across the country playing to packed houses. Dogs, camels and donkeys entertained zealous kids and adults. A herd of elephants provided marvelous entertainment to the delight of the crowds. Miss Emily Coleman and Mademoiselle Lizzie Rolland were featured horse riders, daringly performing without the use of saddles. And horse races were one of the most popular acts at the show. Seventeen audacious acts showcased circus performers in two rings. There were acrobatic and gymnastics feats. And a chief attraction was Russian immigrant Mademoiselle Kabowl who did backward jumps from atop 10 tables stacked on top of each other. Adding a unique touch to her act, she changed costumes during her descent! The week before the disastrous train wreck near Eddyville the circus had met with another unfortunate situation in Fort Dodge. Just as the evening performance was about to begin, a wind and rain storm swept through the circus arena. The gasoline lights crashed onto the stage and exploded into flames that rapidly travelled up the dry ropes onto the tent canvas. Luckily, the crowd that night was small; so as the circus goers ran from the burning structure, all escaped injury. 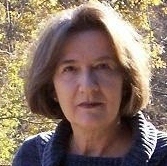 The incident resulted in about $4,000 in damages. The train wreck near Eddyville came at a very bad time for the Forepaugh Circus owners, considering the disaster that had occurred in Fort Dodge only days earlier. However, this time several employees were injured, although none seriously. Seven were sent by train to Mercy Hospital in Davenport. A train loader, car repairer and several teamsters were among the injured. A clown suffered minor scrapes, and a song and dance artist had a cut to the head. Animals were mostly unaffected. Only one dog was killed when the cage it was traveling in was demolished by the force of the crash.